The Johns Creek, Ga.-based company said fourth-quarter revenue increased by almost 13%, to $407 million from $360 million in 2017. Net income was $25.3 million or 98 cents a share, compared with almost $47.8 million or $1.87 a share, in the year-ago period. Saia said the 2018 figures are lower than 2017’s fourth quarter because of the impact last year from the passage of the 2017 Tax Cuts and Jobs Act. Still, the report beat Wall Street’s expectations. According to Zacks Investment Research, based on eight analysts’ forecasts, the consensus earnings-per-share forecast for the quarter was 88 cents. The company has beaten analysts’ expectations for four consecutive quarters. “2018 was a record year for our company, and our value proposition was supported by our consistent approach to pricing for profitability and supplemented by our growing presence in new markets in the Northeast,” CEO Rick O’Dell said. “Looking out to 2019, we’re excited about continuing our push into the Northeast. We’ve opened 10 terminals in the region since our May of 2017 launch and plan to open four to six new terminals this year. 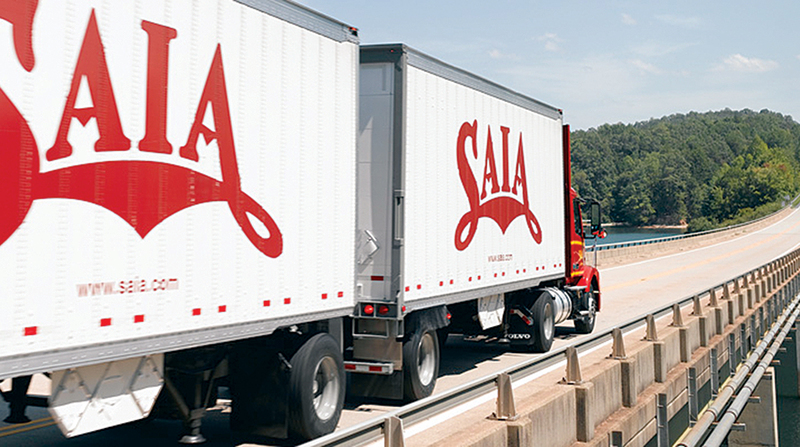 Saia reported its operating ratio improved to 91.8 from 93.6. Operating ratio is a company’s operating expenses as a percentage of its revenue and is used to determine efficiency. The smaller the ratio, the greater the company’s ability to generate profit. For the entire year Saia’s operating revenue jumped nearly 18% to a record $1.65 billion from $1.4 billion in 2017. 2018 net income was nearly $105 million or $4.08 a share, compared with $91 million or $3.57 a share. The company’s operating income also hit a record at $141.2 million, a 49% increase compared to 2017’s figure of $94.7 million. Saia ranks No. 27 on the Transport Topics Top 100 list of the largest for-hire carriers in North America.